Google has announced the launch of AMP for Email, which promises to turn plain old emails into content-rich, interactive experiences that function more like a web page. 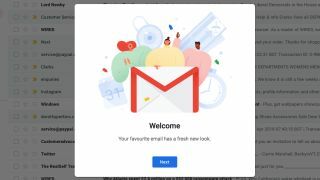 According to TechCrunch, the new feature is coming to Gmail, as well "other major email providers like Yahoo Mail, Outlook and Mail.ru". AMP (Accelerated Mobile Pages) is a "framework for developers to create faster-loading mobile content on the web", according to a blog post by Google. The company says the new AMP for Email feature means emails can be "formatted and sent as AMP documents". Sending emails as AMP documents means the sender can add interactive elements to the message. As TechCrunch puts it, you would be able to do things like "RSVP to an event right from the message, fill out a questionnaire, browse through a store’s inventory or respond to a comment – all without leaving your web-based email client". Being able to send dynamic and immediately actionable emails could prove invaluable to companies who want to market a product or service; in fact, companies like Pinterest, Booking.com, and OYO Rooms have already signed up to the new feature. It's not just about marketing, though. The feature could also be used for responding to a friend's event invitation or even instant messaging within the email itself, which could be useful if you're pressed for time. Still, whether users will appreciate this new interactivity, or will simply find it irritating and overcomplicated, remains to be seen.